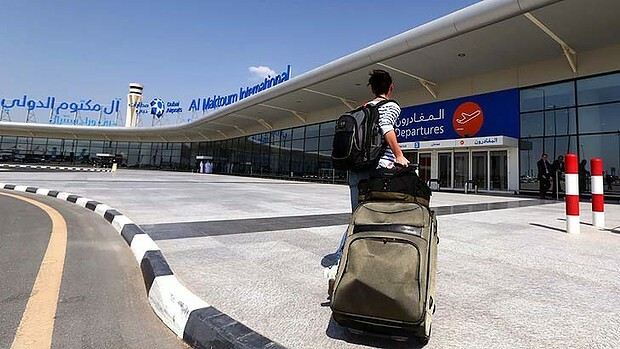 The Gulf emirate of Dubai on Sunday opened passenger operations at its second airport, Al-Maktoum International, touted to be the world's largest once it is completed. A Wizz Air plane from Budapest was the first passenger aircraft to land at the sprawling new facility, and it was welcomed on the tarmac with a water cannon salute. Jazeera Airways, another low-cost carrier, will follow suit on Thursday with daily flights to and from Kuwait, while Bahrain's national carrier, Gulf Air, will begin operations on December 8. 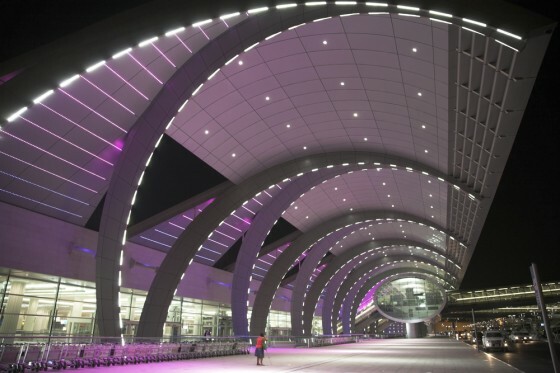 No other airlines have announced intentions to use the new airport, which lies some 50 kilometres south of Dubai International, one of the world's busiest hubs for air passengers. Paul Griffiths, chief executive officer of Dubai Airports, was confident that other companies would follow "in the coming months". He pointed out that 36 cargo carriers currently operate out of the new airport, compared to only two in 2010. Dubai International handled 57 million passengers in 2012, as it has become a major stop for air traffic between the West, Asia and Australasia. Al-Maktoum International was opened only for cargo in June 2010, while passenger operations were repeatedly delayed. The new airport is situated in Dubai World Central, an economic zone the government hopes to turn into what it calls an "aerotropolis". Once completed, it is to feature five runways that will be able to handle an annual capacity of 160 million passengers and 12 million tonnes of cargo. It is built next to Dubai Jebel Ali Free Zone and its port, which is one of the world's largest man-made harbours, and a major containers terminal. 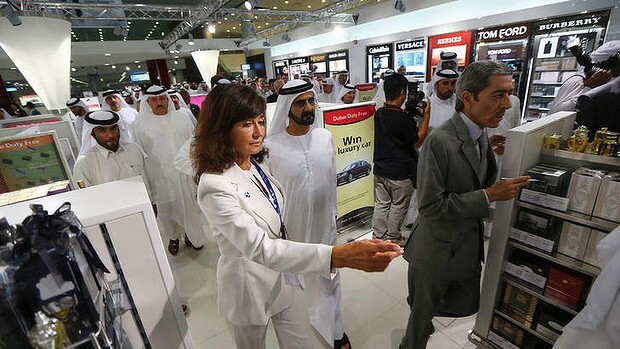 It is part of a grand project announced during Dubai's economic boom, but the pace of progress slowed during the financial crisis that hit the Gulf emirate in 2009. The airport "will play a vital role in the future development of Dubai as a centre for trade, commerce, transport, logistics and tourism", Sheikh Ahmed Bin Saeed Al-Maktoum, chairman of Dubai Airports, said in a statement. The new airport is not aimed at replacing Dubai International, where expansion work is continuing, at least not for the time being, according to Griffiths. "If DXB (Dubai International) is to close, it isn't a decision we have to make probably for the next 30, 40 years," he told reporters.